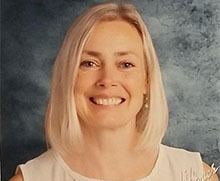 Joanne Walsh joined Woodside International High School as Head of School in 2019. Raised and educated in the U.K, she received a B.A. (Hons) in English at Loughborough University and Post-Graduate Certificate of Education from Sheffield Hallam University. 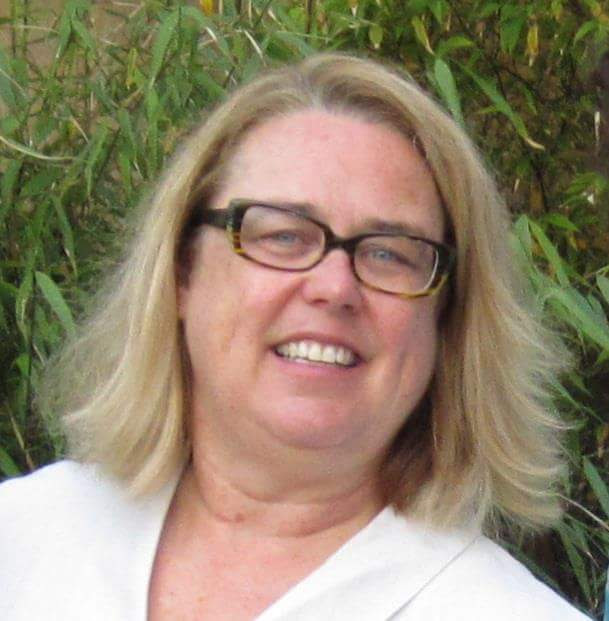 Joanne has worked in schools in the U.K. and U.S. for over 25 years in a variety of roles including teacher, Head of Middle School and Director of Innovation. As an educator she is passionate about educational equity, the neuroscience of learning and leading teams on the path of continuous school improvement. Joanne lives in Marin County with her husband, two sons and daughter. In her spare time she loves to hike, garden, attend the theater and enjoy all that the Bay Area has to offer. Andrea is a Certified College Admissions Advisor and Career Planner. She is a graduate of Stanford University and Pacific–McGeorge School of Law. She earned her Certificate in College Admissions and Career Planning from the University of California, Berkeley Extension. Andrea was our College Counselor in 2009-2012, and Director of Admissions in 2016-2018. Her experience also includes College Readiness Instructor at Summit Preparatory Charter High School in Redwood City, and College Counseling Assistant at Lycée Français de San Francisco. She is a member of the Western Association for College Admission Counseling and the Higher Education Consultants Association. As a former Woodside parent, Andrea is excited to be in her sixth year on the Woodside staff. George received degrees in Chinese Language and Literature at Nanjing University and Georgetown University. He has taught Mandarin at Beijing Second Foreign Language University and was appointed Deputy Director of the United Nations-funded English Training Center in Beijing. He was also the Deputy Chief of the Education Department of the National Tourism Administration of China, and President of the Chinese and Foreign Products Journal. George has been teaching at Woodside for 11 years and is also the International Student Liaison for Chinese students and families. Boris graduated from the Leningrad Technical University with a Bachelor’s Degree in Computer Science. He worked as an electrical engineer in Russia. Here in the U.S., Boris worked as an electronic technical and software quality assurance engineer in several companies in both Florida and California. 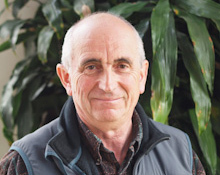 He has been an integral part of the Woodside family since 2003. Anna is new to Woodside this year and eager to learn about our unique program of individualized education for local and international students. She is looking forward to working closely with our students and families and becoming a knowledgeable and supportive member of the Woodside community. Dean has made his living as a writer, a marketing executive for Fortune 500 corporations, and as a business owner of a management consulting firm specializing in strategic marketing services. Dean also established and served as the Executive Director of the non-profit San Francisco Sports Council. 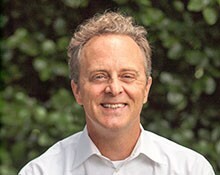 For many years Dean served as the Promotion Director for the San Francisco Chronicle. Dean has a B.A. in Communications from the University of Washington, Seattle. He is married, has three children and lives in Mill Valley. He enjoys traveling, reading, hiking, and playing basketball. This is Dean’s fifth year at Woodside. 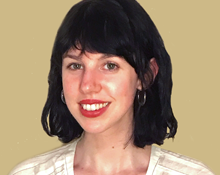 Alexandra joined Woodside in 2019 as the Studio Art and Art History teacher and Yearbook Club facilitator. She earned a Fine Arts degree from Bard College in 2016 and has worked as an art gallery curator and manager and as an art studio assistant. She currently divides her time between working as a gallery guide at the Oakland Museum of California and as a teacher at Woodside International School. She is a fluent French speaker and enjoys painting, French literature and exploring the natural landscape of California. 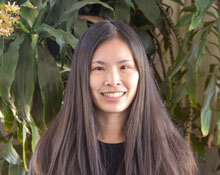 Anne was born in Guangzhou, China, and she moved to San Francisco 9 years ago. She graduated from San Francisco State University with a Bachelor of Science degree in Applied Mathematics. In 2013, she joined the Center for Science and Mathematics Education at SFSU, where she found herself falling in love with teaching math. Meanwhile, she did classroom observations in several high schools in San Francisco and worked as a math tutor at a tutoring center. 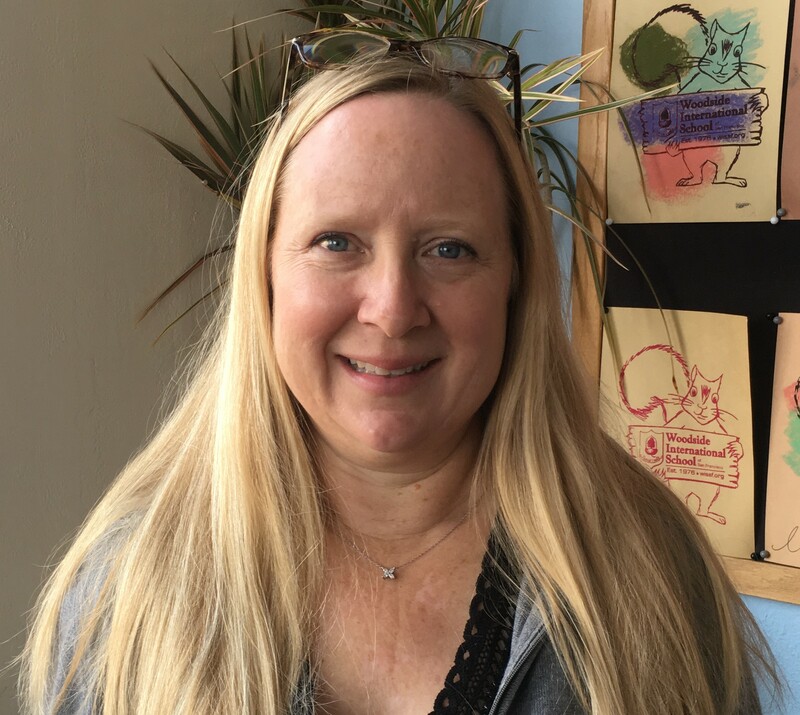 This is Anne’s fourth year at Woodside where she wants to pass her passion for math onto her students and create a thriving, supportive mathematics classroom culture. Claudia was born and raised in four cities in Mexico. Prior to moving to the United States, Claudia lived in France and Ireland. She holds a B.A. in Marketing from Tecnológico de Monterrey and an M.B.A. from Babson College – Olin School of Business. 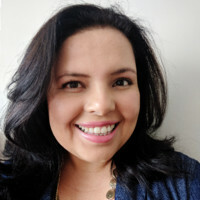 Originally a global high-tech marketing professional, her first start-up immersed her in the world of early childhood, K-12 international education, and Spanish language acquisition. 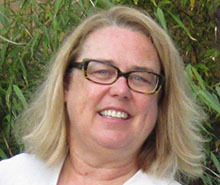 Claudia has worked for progressive education pioneers such as AltSchool and San Francisco public schools. She is working toward certification in ELE para Niños (Spanish Language Acquisition for Children) at Universidad Rey Juan Carlos in Spain and studying Autism Spectrum Disorder at UC Davis Extension. Claudia’s goal is to design personalized and inclusive learning environments for Spanish students at Woodside. When she’s not obsessing about education and learning, Claudia loves to sit on a beach and watch the waves roll in next to her daughter and her husband. Carlos is an in-demand performing and teaching artist. 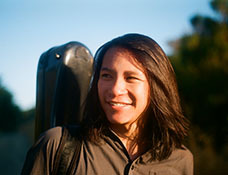 He received his Bachelor’s degree in Music from California State University Chico and his Master’s degree in Music, specializing in Classical Guitar Performance, from the San Francisco Conservatory of Music. He gives solo recitals all over California, and frequently plays concerts around the Bay Area. In addition to classical guitar, Carlos avidly pursues learning other genres of music, such as jazz, rock and blues. 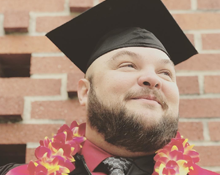 He has experience teaching a wide variety of ages and styles, and loves helping students develop their musicality as well as technical facility. This is his second year at Woodside. Abram is new to Woodside this year, and looking forward to teaching Anatomy, Chemistry, and Physics. 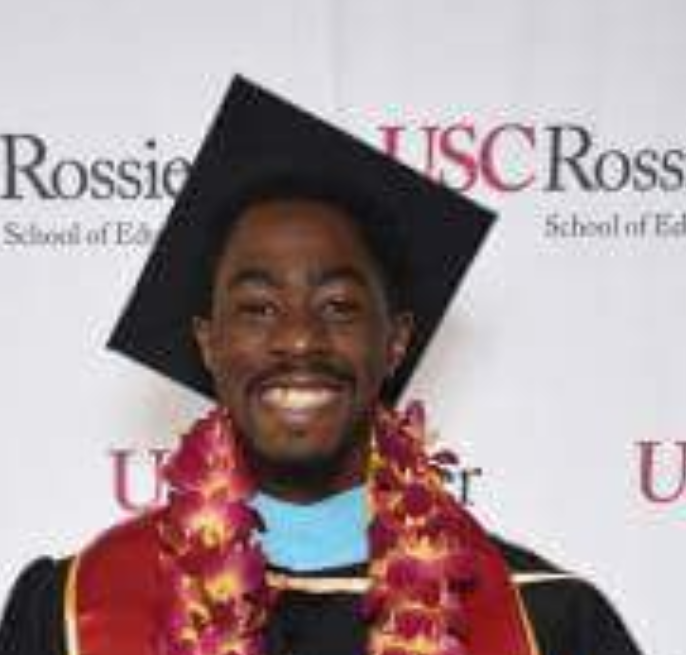 He has a Bachelor of Sciences degree in Biology from University of California, Los Angeles, and a Masters of Education in Multiple Subjects/Gifted Education from University of Southern California. He is fluent in Italian and Spanish and is currently working on learning Cantonese and Japanese. He’s originally from Los Angeles, and just moved to San Francisco last year, but has already tried over 700 dishes from variety of restaurant and food events in the city because he’s a big foodie. Mizuho was born and raised in Toyo, Japan and received her B.A. in Philosophy from Toyo University. 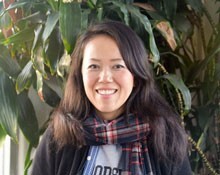 She has been a teacher for over 5 years using a variety of ways to teach Japanese language, such as watching movies, listening to music, and reading books or magazines. Her philosophy in being a teacher centers on the ability to support the development of the students’ abilities based on their individual interests and levels. This is her seventh year at Woodside. Jake is a passionate English and ESL instructor with experience at the university and community college levels. He is social justice minded, with a penchant for literature from the last 60 years, and a passion for bringing music and art into the classroom. Jake earned his B.A. and M.A. at California State University East Bay, majoring in English with emphasis on TESOL (Teaching English to Speakers of Other Languages). Jake has also taught chess, and is looking forward to being part of the Woodside community. Dream was born in China, and has lived in the United States for six years. She received her B.A. in English Literature in North Carolina and M.A. in TESOL (Teaching English to Speakers of Other Languages) at University of San Francisco. 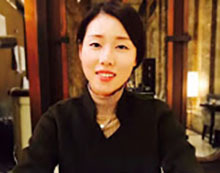 She is currently a Doctoral student in the Learning and Instruction program at University of San Francisco. 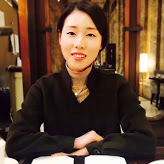 Dream worked as a Writing Tutor, Subject Tutor, and Academic English Tutor at USF while studying for her Master’s. She has also taught ESL at Cañada College. In 2017, Dream published “Writing Strategies for First-Year University ESL Students” (ISBN: 978-620-2-30421-4). 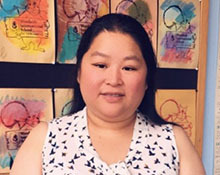 Her education and teaching experience in ESL have uniquely prepared her to be a better ESL educator. She looks forward to meeting all of our students and teachers and applying her teaching skills at Woodside. Andrea is a Certified College Admissions Advisor and Career Planner. She is a graduate of Stanford University and University of the Pacific – McGeorge School of Law. She earned her Certificate in College Admissions and Career Planning from the University of California, Berkeley Extension. Andrea was our College Counselor in 2009-2012, and Director of Admissions in 2016-2018. 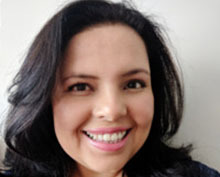 Her experience also includes College Readiness Instructor at Summit Preparatory Charter High School in Redwood City, and College Counseling Assistant at Lycée Français de San Francisco. She is a member of the Western Association for College Admission Counseling and the Higher Education Consultants Association. As a former Woodside parent, Andrea is excited to be in her sixth year on the Woodside staff. 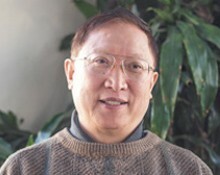 George received degrees in Chinese Language and Literature at Nanjing University and Georgetown University. He has taught Mandarin at Beijing Second Foreign Language University, and was appointed Deputy Director of the United Nations funded English Training Center in Beijing. He was also the Deputy Chief of the Education Department of the National Tourism Administration of China, and President of the Chinese and Foreign Products Journal. George has been teaching at Woodside for 11 years and is also the International Student Liaison for Chinese students and families. Anna is new to Woodside this year and eager to learn about our unique program of individualized education for local and international students. 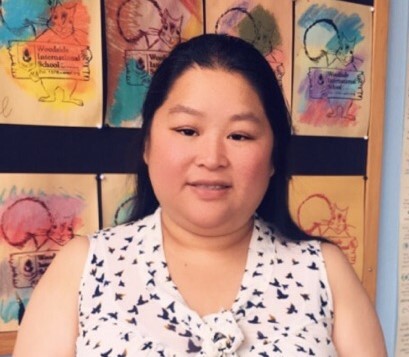 She is looking forward to working closely with our students and families, and becoming a knowledgeable and supportive member of the Woodside community. Julie moved to San Francisco five years ago with her husband and two boys. She loves to take advantage of all of the amazing things the city has to offer with her family. Julie also loves school. She has a B.A. in International Affairs and French from Austin College, an M.Ed. in Secondary Language Education and French from the University of Little Rock, plus several graduate level courses in English language and literacy from the University of New Orleans, and finally, a J.D. from Loyola University of New Orleans Law School. She has taught students from 2nd grade to law school, and all levels in between. She has a natural curiosity that keeps her seeking out new challenges. Julie is excited to join Woodside and meet the students who will grow with her in an exploration of language and literature as they prepare to move into the next phases of their own education. Abram is new to Woodside this year, and looking forward to teaching Anatomy, Chemistry, and Physics. 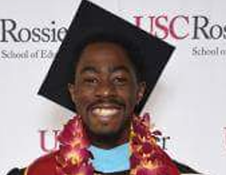 He has a Bachelor of Sciences degree in Biology from University of California, Los Angeles, and a Masters of Education in Multiple Subjects/Gifted Education from University of Southern California. He is fluent in Italian and Spanish and is currently working on learning Cantonese and Japanese. He’s originally from Los Angeles, and just moved to San Francisco last year, but has already tried over 700 dishes from variety of restaurant and food events in the city because he’s a big foodie!